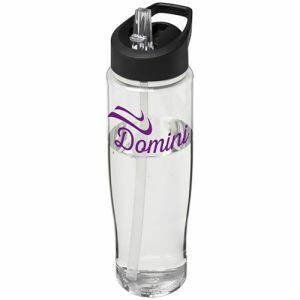 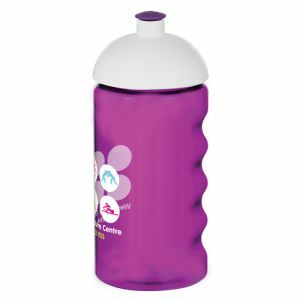 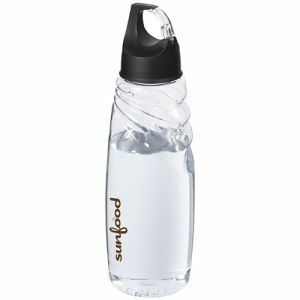 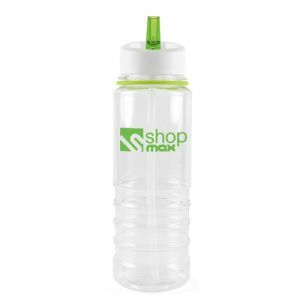 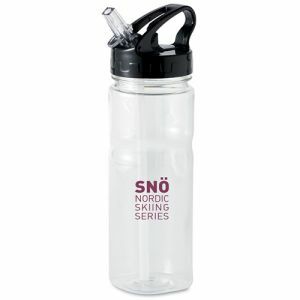 Branded water bottles come in a choice of styles and with a range of intended uses. 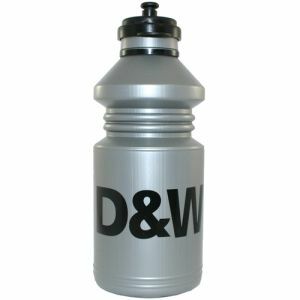 Metal bottles might provide increased durability and can even come in double-walled, insulated designs, whereas printed water bottles made from plastic are usually more budget-friendly, mostly made with recyclable plastic that is always BPA free for your peace of mind. 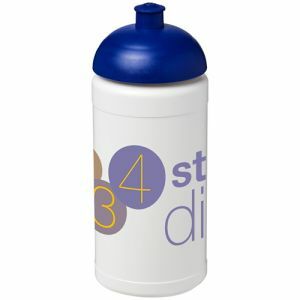 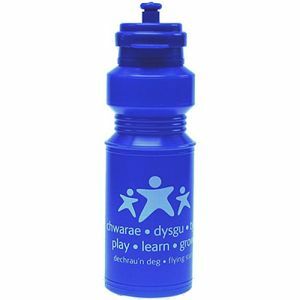 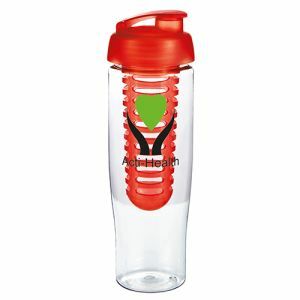 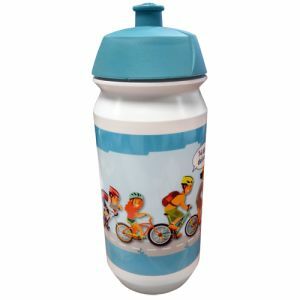 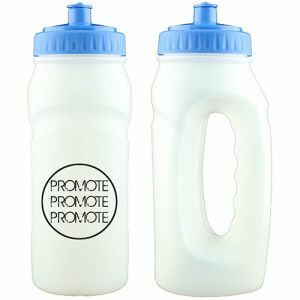 Reusable promotional water bottles are great eco-friendly replacements to bottled water or disposable cups, certain to maximise your budget with corporate branded merchandise that will be reused again and again, not only to keep your customers hydrated but to advertise your marketing campaign as well at the same time. 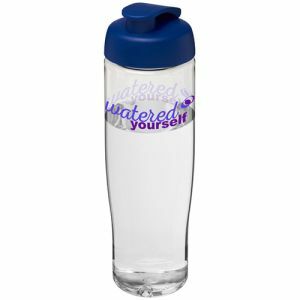 Did you know that 60% of the average adult human body is made of water? 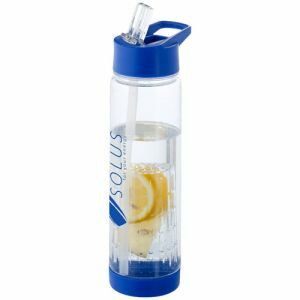 Despite there being very little scientific consensus about how much water we should consume each day – although 6-8 glasses or 2 litres is widely recommended – water is clearly crucial to our health and wellbeing. 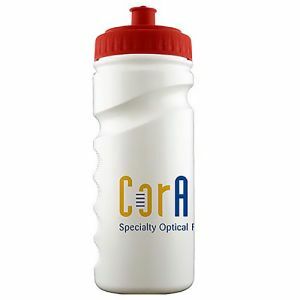 Helping your staff and customers consume more water could be as simple as providing branded water bottles which can be frequently refilled from the water cooler, or straight from the tap. 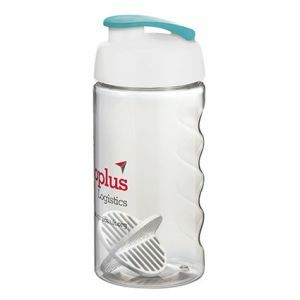 Not only are you doing your bit for staff health and increased productivity, but you’re also helping the environment by reducing the use of ‘single-use’ plastic cups. 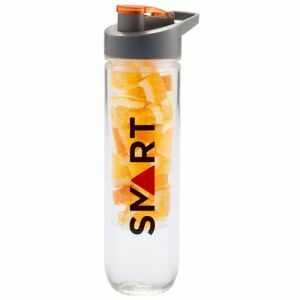 Commuters and road or rail travellers will appreciate a lightweight, refillable promotional water bottle to ensure they’re never left ‘high and dry’, and a fruit infuser keeps water interesting for those who need an extra incentive to stay hydrated. 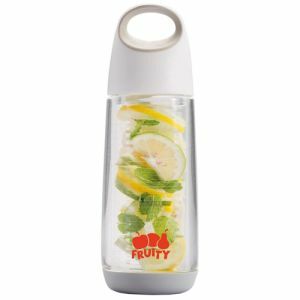 Two of our best sellers are our 740ml fruit infuser bottle and the slightly smaller 700ml Tempo Fruit Infuser Bottle, which come in a wide range of high impact colours. 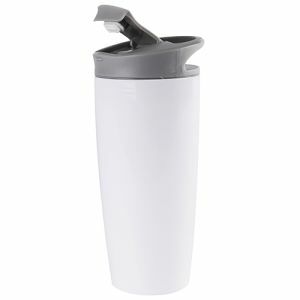 There's also our compact 650ml Bopp Fruit Infuser Bottle in classic white with loop carry handle. 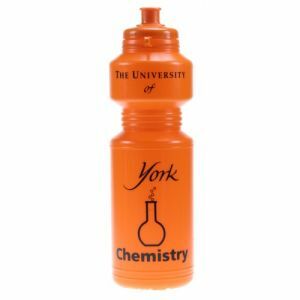 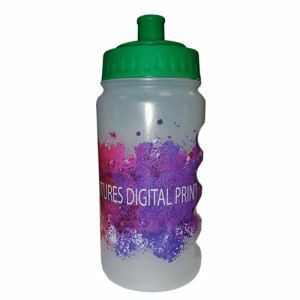 For the ultimate, space saving printed water bottle, you can’t get much smaller than our folding bottles which can be easily stored when not in use and carried with your customers wherever they go. 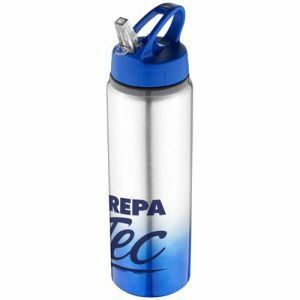 Printed with your logo or company name and message and completely reusable, they are a compact yet practical promotional business gifts to suit most budgets. 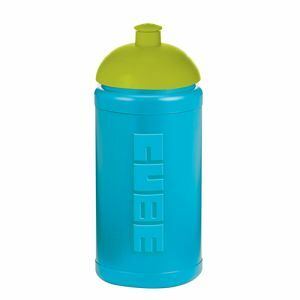 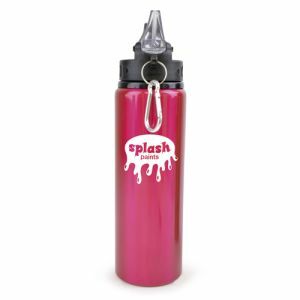 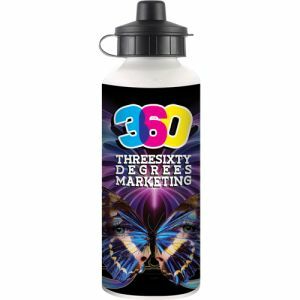 Their size makes them easy to include as part of direct mail campaigns or exhibition giveaways, fantastic for lunchboxes, rucksacks, book bags, handbags or even suit pockets when they are empty and are easily filled at a water fountain, water cooler or tap. 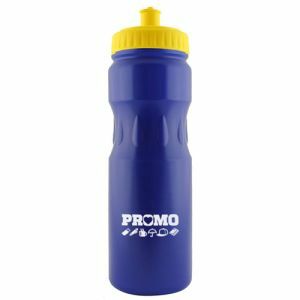 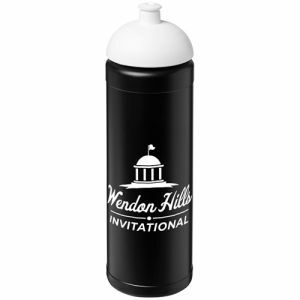 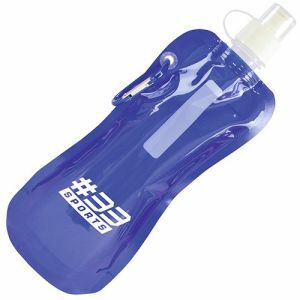 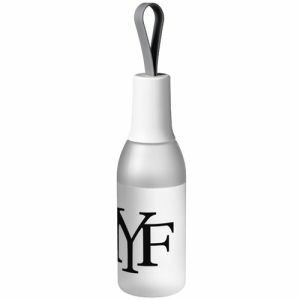 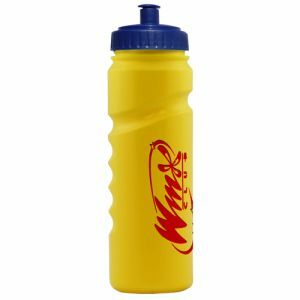 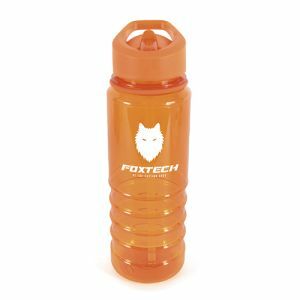 If you are part of a running club for adults, children or even professional athletes, our jogger bottles with built-in handle are the promotional sports bottles of choice and boast a large print area for maximum exposure of your brand. 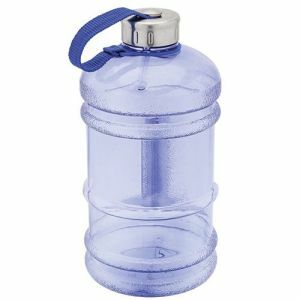 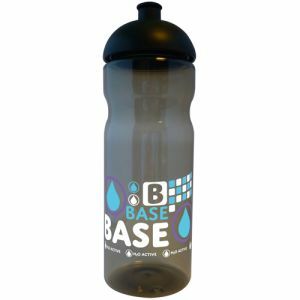 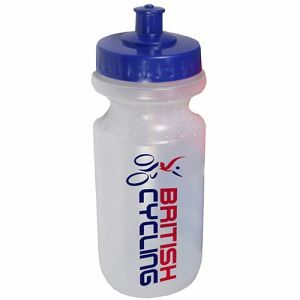 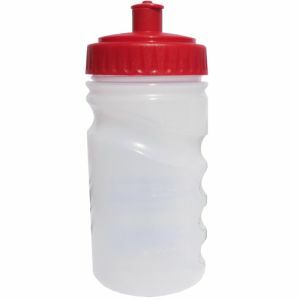 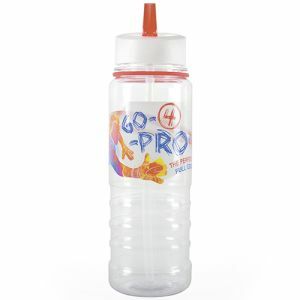 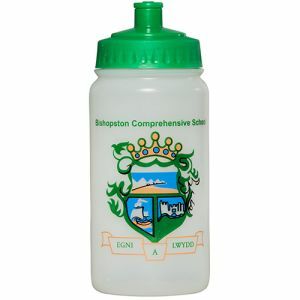 These bottles are also ideal for any gym, sports club or leisure centre where water is needed on the go. 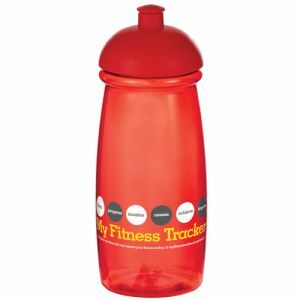 Are you targeting health clubs, fitness fans, promoting health and wellness or weight loss? 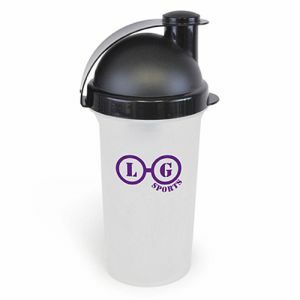 If this is your target market, we think a protein shaker bottle is right on trend. 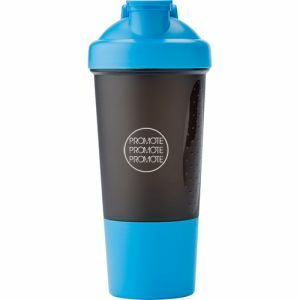 Take the 500ml Active Protein Shaker Bottle – it’s made in the UK and comes in a host of fashionable ‘mix and match' colours to create something completely unique to your brand. 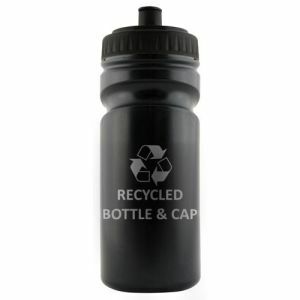 It's even manufactured from recyclable PET material, so it’s eco-friendly too. 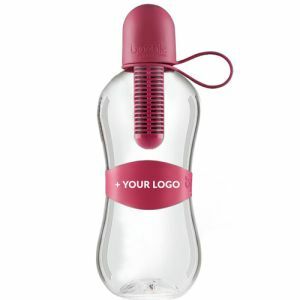 Align your company logo with the trendy 550ml Bobble Filtered Water Bottle by adding your one, two or three colour corporate design or message to one of these filter bottles. 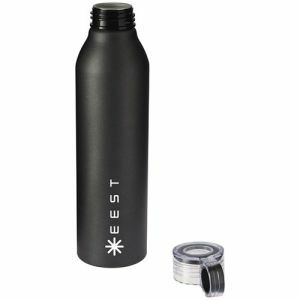 Each replaceable carbon filter delivers 150 litres of great tasting water in a highly desirable bottle. 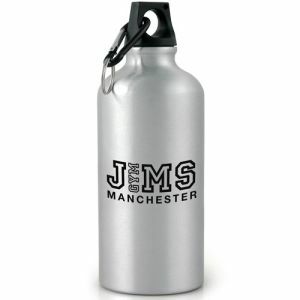 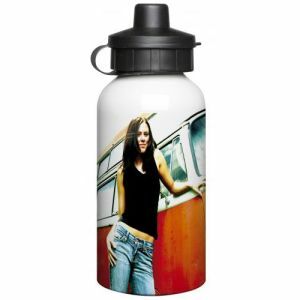 Not everyone likes reusable plastic, so we also have a good range of metal printed water bottles. 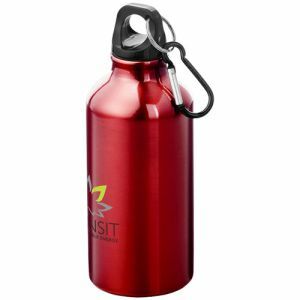 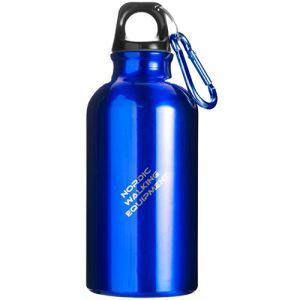 The 750ml Stainless Steel Water Bottle is a new addition to our lineup and is ideal for commuting, school bags, gyms and, with its handy carabiner bottle clip, you can even take it camping, hiking or to the beach as the screw top lid will prevent any leaking in transit. 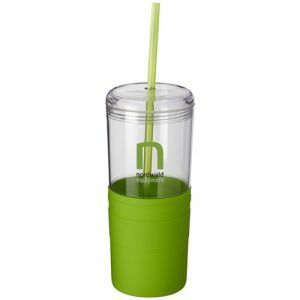 If we said sugar cane what would you think? 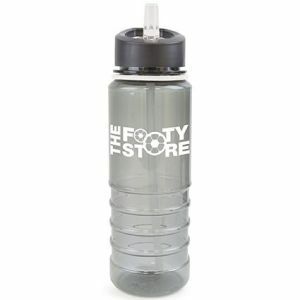 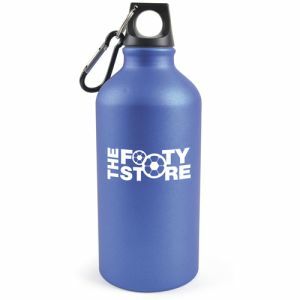 Most people would say plants but here at Total Merchandise, we think promotional water bottles! 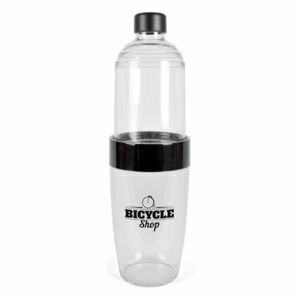 One of our most eco-friendly water bottles is the Sugar Cane Eco Water Bottle which is made from renewable sugar cane, is BPA free and completely recyclable. 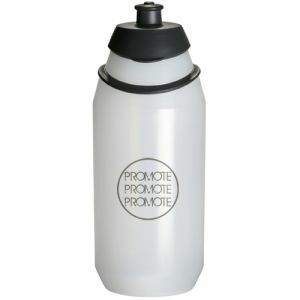 If being kind to the environment is one of your business values, you can display your logo with pride on this is the branded water bottle. 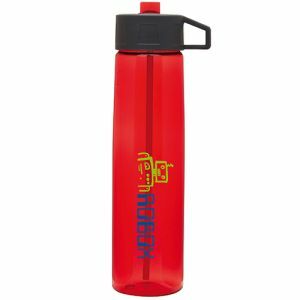 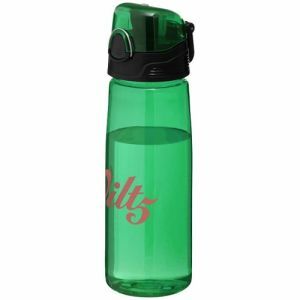 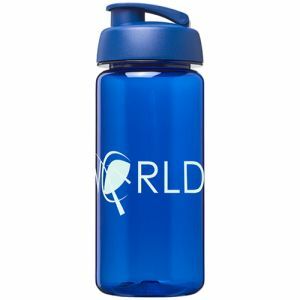 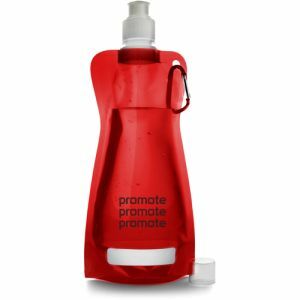 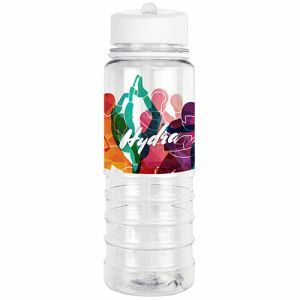 Corporate water bottles emblazoned with your brand keep your name literally on your customer’s lips – and highly visible to everyone they cross paths with throughout their work or leisure day. 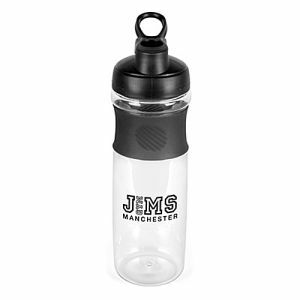 A great merchandise item for sports clubs, charities, school sports teams, gyms or health clubs to raise funds, as well as for summer events, fun runs, half or full marathons, University open days and launch events to advertise your company to a wide audience.